We get Rizwan and Sam from LoLSA to come and talk about this year's championships. If you like League of Legends, this episode is for you! In Episode 9, we talk to Rizwan Mohammed and Sam Clark from the U’s League of Legends Student Association all about the upcoming World Championship match, which is happening TOMORROW! Oh yeah, this is also Lee Neuschwander’s first episode as a member of The Geekwave Team! We’re really excited to have him on board and hope he can provide another perspective to the team. You may notice that the sound on this episode is a little more raw. That’s because we were trying out our new Blue Yeti Microphone, which we hope to use more in the future for mobile recordings and game streaming. Obviously, it doesn’t sound quite as nice as K-UTE Radio’s Studio, but it sounds pretty good for a podcast microphone. 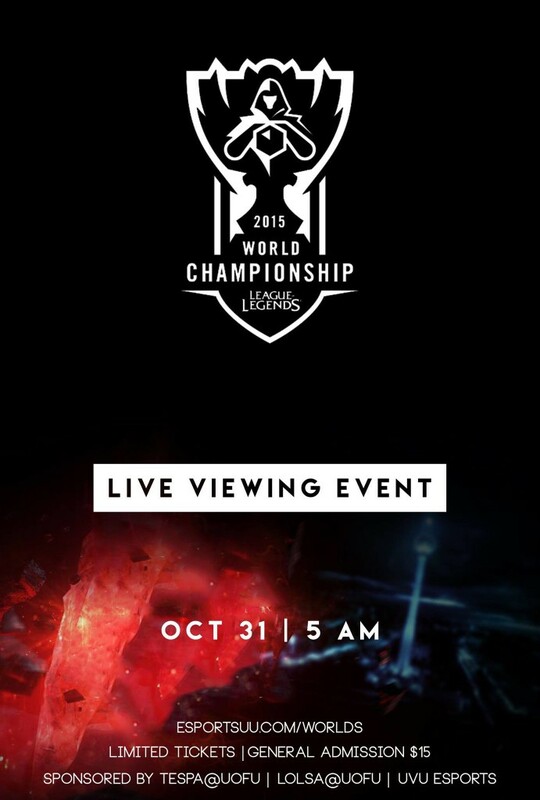 Be sure to check out the World Championship Viewing Party tomorrow morning! Broadcast Manager at Student Media. Entertainment Arts Major at the U. One day I'll be as cool as Felicia Day and Shigeru Miyamoto combined.